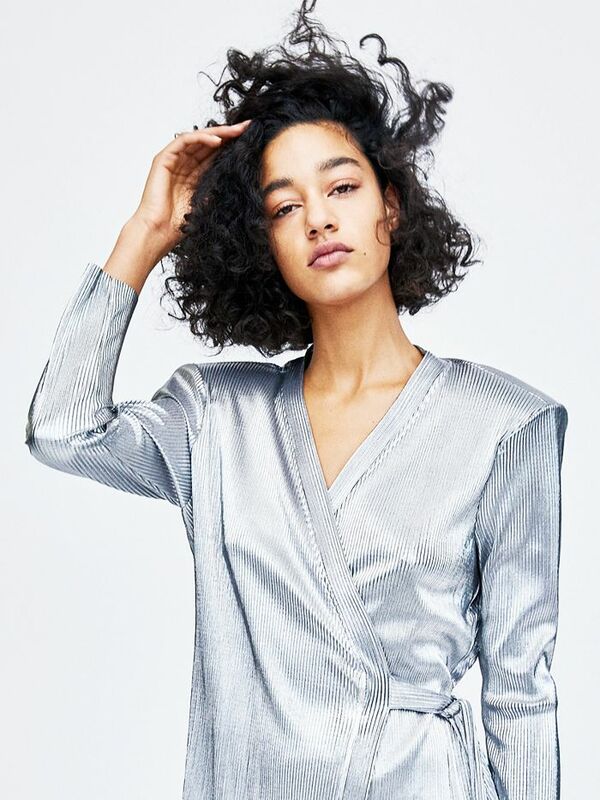 The best party dresses are like gold dust: They can be an irritatingly difficult thing to find even in the winter when sequins, sparkle and glitter abound—nobody wants a same-dress scenario, after all. But we're here to tell you that there are so many dresses to choose from that you can't fail to find something you'll love. There are so many, in fact, that the decision-making moment can be hard to pin down, which is not ideal if you're attending a wedding, a birthday or a fancy festive party. 1. You want to find a party dress that does all the hard outfit work for you. 2. It needs to look incredible and memorable but not so OTT that you feel you cannot wear it ever again. 3. 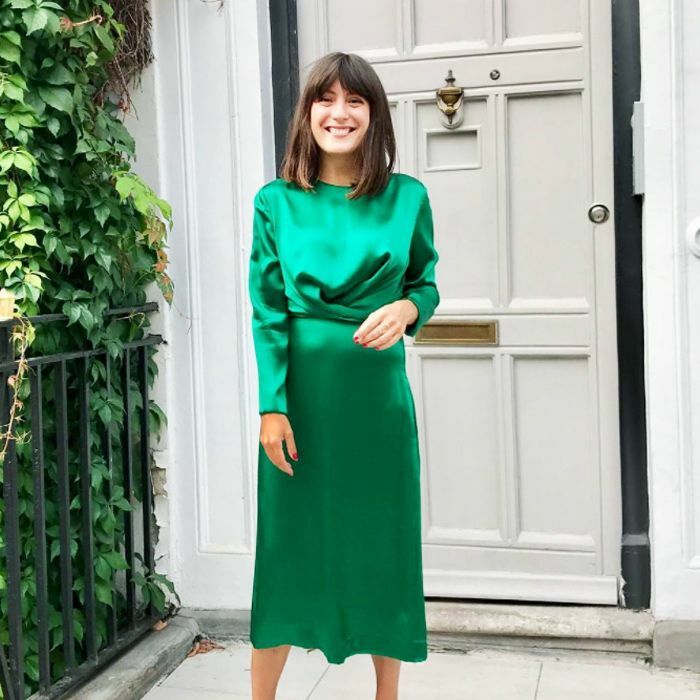 Your party dress needs to feel comfortable—when you're considering the cold of winter, one does want to be able to dance/chat/eat sausage rolls with ease. 4. If you're a Brit, you'll no doubt want your party dresses to hold some double-duty potential; there are many pieces here that you can layer up over your jeans for a more casual colder-weather look. 5. Your diary is crazy busy, and you don't have time to go to every single store in the world to find the perfect frock. Did you answer yes to any of the above? Thought so. Keep reading because we've put together an editor-approved shopping list of the best dresses out there on planet fashion. This will look so elegant with velvet and gold accessories. We love the knotted back on this dress—super flattering. This is effortless style at its best. Dare to bare it all. We love the flamenco-style ruffles and the super-cute heart detailing. The sleeves on this dress are magical. Make a statement with this sheer lace number. The knotted waist detailing is super flattering. A real Jessica Rabbit showstopper, this number won't need anything other than a pair of plain strappy heels and a clutch. We love the power shoulders on this super-flattering wrap dress. We've lusted after this gem for months. We can't get enough of this season's crushed velvet—especially in rich midnight blue. The body-skimming cut and tie-back waist detail make this one incredibly flattering dress. So elegant—you'll keep this classic LBD for years. The neoprene fabric means it won't crease when you sit down either. Team this with statement earrings and kitten heels. The colour that suits everyone—this is ideal for a garden party. This is one of those that you can wear for something fancy or with sneakers for a more casual affair. This looks incredible layered over leather leggings or black skinnies. Invited to someone's wedding reception? This is the dress for you. When only embellished tulle will do. This dress needs killer heels. We love the delicate sleeves on this flowy frock. Wear this with boots to keep things feeling edgy. Did someone say Keira Knightley in Atonement? Team with metallic accessories for a classy look. Just add sock boots and a cute clutch. Going black tie? Glitz things up. Struggling for the perfect New Year's Eve party dress? We've just found it. First, wear this to a fancy party. Next, wear it over your favourite frayed-hem jeans. Another wrap dress that will flatter all shapes. The gold embroidery or the waist-cinching belt? We can't decide which we're most in love with. This will see you through any soiree. Pair with gold heels and jewellery. Bold prints, plush velvet and an asymmetric cut. There's nothing we don't love about this. Yep, this one's a winner. Roksanda once again wows with sleeves. Next up—the 27 fashion blogs you should be bookmarking right now.